AGC has succeeded in developing a high-transparency, high-refractive-index glass substrate for use in AR/MR glasses. 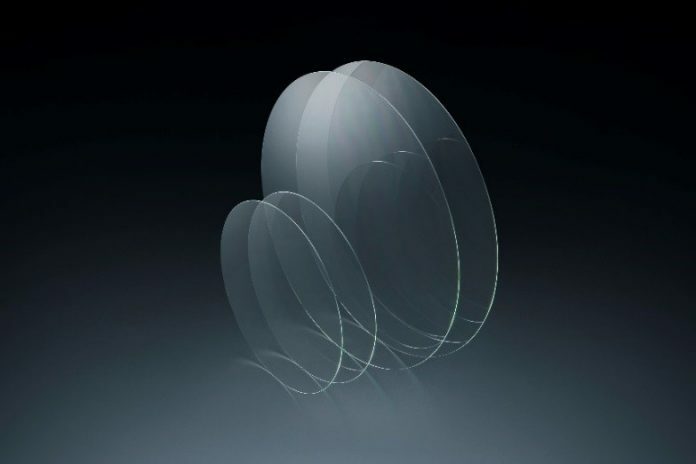 AGC with headquarters in Tokyo has succeeded in developing a high-transparency, high-refractive-index glass substrate for use in AR/MR glasses. The company has already established a mass production system for the glass in Japan and plans to launch sales from February 2019. The development of displays that virtually augment the world around us by superimposing virtual visual info onto our view of the real world has been gathering momentum in recent years. In particular, eyeglass-fashioned wearable devices called “AR glasses” or “MR glasses,” which are able to display AR (augmented reality) or MR (mixed reality), have been capturing headlines. The market for these AR/MR glasses is expected to expand as the next-generation device following smartphones. Glass substrate for AR/MR glasses requires a ‘high refractive index’ to extend the viewing angle as well as “high transparency” to vividly show images. It also requires highly advanced glass processing technology to transmit images with extreme accuracy, for instance by achieving high flatness and smooth surfaces. With its high refractive index and high transparency, this newly-developed glass substrate is a product that combines all these characteristics. AGC aims to continue expanding this product across a wide range of markets that include not only the AR/MR glasses market, but also the in-vehicle technology market, and is scheduled to be exhibited at AGC’s exhibition booth at the upcoming Photonics West 2019 (San Francisco, CA) which will be held from 5-7 February 2019.